Qualcomm Incorporated (NASDAQ: QCOM) today announced that the District Court of Munich found that Apple (Nasdaq: AAPL) is infringing Qualcomm's intellectual property for power savings in smartphones and granted Qualcomm's request for a permanent injunction, ordering Apple to cease the sale, offer for sale and importation for sale in Germany of infringing iPhones. The injunction covers all models of iPhones that contain the infringing functionalities and apply to Apple's European Union entities as well as Apple Incorporated. 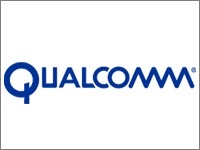 The judgment is immediately enforceable once Qualcomm posts bonds covering potential damages incurred by Apple should the judgment be overturned or amended on appeal. Apple's request to the court for a stay of the injunction was denied. The court has also determined that Apple is liable for monetary damages in an amount to be determined at a later time. "Two respected courts in two different jurisdictions just in the past two weeks have now confirmed the value of Qualcomm's patents and declared Apple an infringer, ordering a ban on iPhones in the important markets of Germany and China," said Don Rosenberg, executive vice president and general counsel of Qualcomm. The court also granted Qualcomm's request for an accounting of the details associated with all sales, including revenues and profits of the accused devices in Germany and a recall and destruction of all accused devices from all retailers in Germany. Qualcomm's infringed patent provides a way to mitigate power amplifier power consumption which enables the device to use power more efficiently and extend battery life in smartphones.